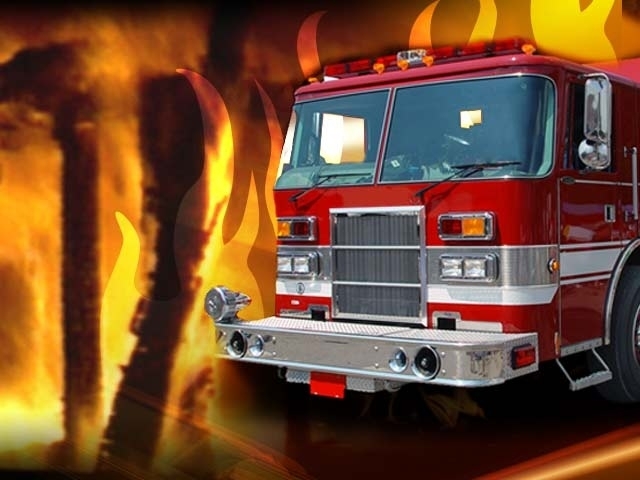 An investigation is underway into the cause of a blaze that sent two people to hospital in the Old South area Wednesday night. London firefighters responded to a four-unit apartment on High Street at Wellington Road around 9:30 p.m.
Elgin County OPP say approximately 85 cows were killed in an early morning barn fire in Elgin County. Southwold firefighters were called to a farm on Sunset Dr., south of Southminster Bourne shortly before 8 a.m. Monday to reports of a barn fire. An apartment fire over the weekend has resulted in drugs and weapons charges against a London man. London Firefighters saved three dogs and a cat after fire broke out in a southeast London home Sunday night. Fire crews responded to a home on Hale St., north of Hamilton Rd. at around 6:30 p.m.
“When we arrived, we had heavy smoke showing and flames coming from the roof,” says Platoon Chief John Hunt. Morning House Fire Shuts Oxford St. East of Adelaide St.
Fire crews are investigating after fire broke out in a two-storey home in east London Tuesday morning. London Firefighters were called to 654 Oxford St. East, just east of Adelaide St., at around 7:35 a.m. to reports of smoke billowing from the home. London Police are investigating a serious four-vehicle collision in the city’s east end Monday. The collision happened just after noon-hour and sent a male driver to hospital with life-threatening injuries, police said. Damage is pegged at $100,000 following a townhouse fire on Huron Street in London. Crews were called to 1159 Huron Street late Saturday morning, and found the main floor of the unit engulfed. Crews managed to douse the blaze just before 12 p.m.
London fire fighters were on scene at a blaze at a business on Wharncliffe Rd. South. A late night fire at McMaster Automotive on Dundas Street East remained under investigation Friday morning. The cause of a house fire in the Masonville area late Tuesday night remains under investigation. Emergency crews responded to a call at 510 Ambelside Drive near Fanshawe Park Rd. and Wonderland Rd. just before 10 p.m.
An investigation is underway on the heels of a raging fire that broke out inside a garage on Sunningdale Road. A young London woman training to become a fire fighter helped alert a family to a fire raging in their garage. There were some tense moments Wednesday morning at a high-rise apartment building on Springbank, near Wonderland. A fire at a townhouse complex in London’s northwest end has caused extensive damage and a traffic nightmare. London fire fighters had to battle both flames and cold temperatures Tuesday night as they responded to a house fire in the White Oaks area.